Businesses based throughout South Yorkshire are being encouraged to shout about their success stories over the past twelve months at the 2018 Barnsley and Rotherham Business Awards, which have been officially launched this month. 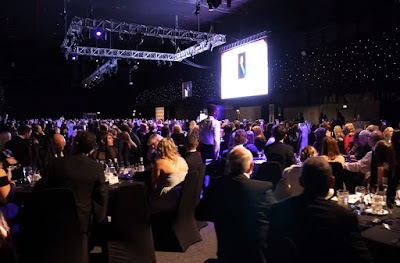 Now in its eighth year, the business awards will return to Magna, Rotherham on Friday October 19 and is considered to be one of the most important events in the regions business calendar. This year will see a number of new awards up for grabs, including Marketing Campaign of the Year, Innovation in Manufacturing as well as seeing businesses throughout the region compete for the titles of Most Promising New Business and Business of the Year, with 13 awards in total. A limited number of sponsorship opportunities are currently available. Confirmed sponsors for the 2018 business awards include Fortem, Gibson Booth Business Solutions & Insolvency, Finance For Enterprise and Steelphalt (Harsco), along with past award winners – Enzygo and Russell Richardson. During the evening, guests will be treated to a pre-dinner drinks reception which has been supported by Julie Kenny CBE, DL. Ahead of the formal launch of the business awards, the Chamber is also calling on businesses who will celebrate a significant anniversary in 2018, particularly those companies who are celebrating 25, 50, 75 or even 100 year anniversaries to get in touch, as they may be eligible to receive a Salute to Business, sponsored by XPO Logistics, in recognition of the longstanding contribution they have made to the local economy. Andrew Denniff, chief executive of Barnsley & Rotherham Chamber, said: "Once again we start planning for our major showpiece event of the year and this time we have had a really positive, early response from a number of key sponsors. Their commitment at this stage means we can focus on preparing and putting in place an evening we can all be really proud of."